NASA’s Commercial Crew integrated Capability (CCiCap) initiative award winners were announced on Friday, with SpaceX, Boeing and Sierra Nevada Corporation (SNC) all winning agency money to develop their vehicles to the next stage of providing domestic access to the International Space Station (ISS) for US astronauts. The follow-on to the Commercial Crew Development (CCDev-2) process provided little by way of surprises, with all three CCiCAP award winners making good progress under their current NASA contract. “Today, we are announcing another critical step toward launching our astronauts from U.S. soil on space systems built by American companies,” NASA Administrator Charles Bolden said at the agency’s Kennedy Space Center in Florida. Although the commercial crew drive will only make a slight impact into the thousands of jobs lost under General Bolden’s tenure at the helm of NASA – most notably via the retirement of the Space Shuttle – none of the winners have any plans to launch from KSC’s famous Complex 39 pads. While Boeing’s CST-100 will be processed in a KSC Orbiter Processing Facility (OPF) and Dream Chaser is expected to land at KSC’s Shuttle Landing Facility (SLF) – and may opt to be processed in one of the two available OPFs – only ATK’s Liberty launch vehicle was expected to use a large collection of KSC facilities. 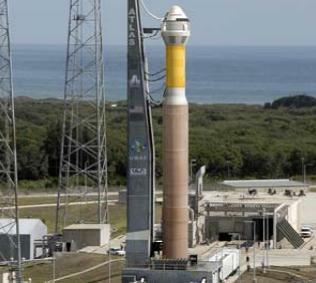 Liberty – which was the subject of a large PR campaign, including “Hollywood-style” youtube videos, social media events aplenty and adverts on blog sites – failed to achieve its advancement from an unfunded Space Act Agreement (SAA) to commercial crew effort funded with NASA money. Ahead of Friday’s decision, only four companies were in the running with a realistic shot of the limited NASA funding for the CCiCAP initiative, the three eventual winners, and Liberty. In the end, Associate Administrator for Human Exploration and Operations Directorate William Gerstenmaier opted to award Boeing with $460m, SpaceX with $440 and SNC with $212.5m. The source selection document, explaining the award process, is expected within 10 days. SpaceX are the current leaders in their commercial crew efforts, not least because they have already successfully flown the cargo version of their Dragon spacecraft to the ISS. Using an upgraded Falcon 9 (Version 1.1), SpaceX are aiming to launch a crewed demonstration flight – not to the ISS – by mid-2015, from SLC-40 at Cape Canaveral. This date is based on funding expectations and a smooth test schedule. For CCiCAP, the $440m award comprises of payments throughout 14 milestones, that will culminate in the integrated Critical Design Review (CDR). 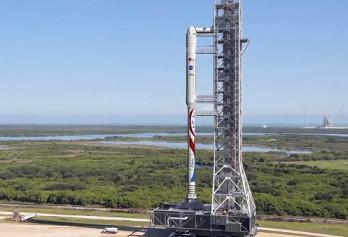 The funding period is also expected to cover a pad abort test and an in-flight abort test. Other key areas of upgrading their Dragon spacecraft to a crew vehicle includes the installation of seats for seven astronauts, and the testing and installation of an advanced launch escape system – with powered abort possibilities from launch pad to orbit. SpaceX note they will demonstrate that Dragon will be able to escape a launch-pad emergency by firing integrated SuperDraco engines to carry the spacecraft safely to the ocean. The in-flight abort test will task Dragon to escape at the moment of maximum aerodynamic drag, again by firing the SuperDraco thrusters to carry the spacecraft a safe distance from the rocket. 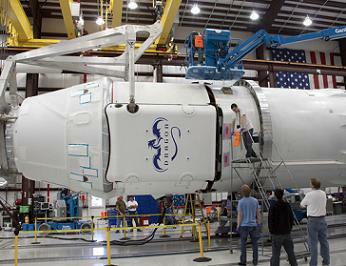 Boeing have been steadily working through their CCDev-2 (Commercial Crew) contract milestones – worth over $92m – centered around their CST-100 capsule, a vehicle configurable to carry up to seven crew/passengers or an equivalent combination of passengers and pressurized cargo to LEO destinations, including the ISS. This vehicle will be using the Atlas V launch vehicle, launching from SLC-41 at Cape Canaveral. NASA estimate that a crewed demonstration flight could occur as early as mid 2016, again based on long term funding expectations. “This award will enable us to build on the successes achieved in our Commercial Crew Development (CCDev) and CCDev-2 work for effective development through Critical Design Review, as we progress toward human rating and certification,” said John Mulholland, vice president and program manager of Boeing Commercial Programs. Boeing have been tasked with 19 milestones for their $460m award, culminating in an integrated critical design review milestone, along with significant propulsion system, avionics, and wind tunnel development and testing. 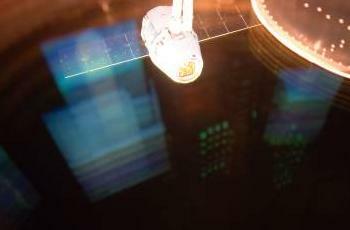 The CST-100’s primary landing site will be on land, with a specific landing site in work. 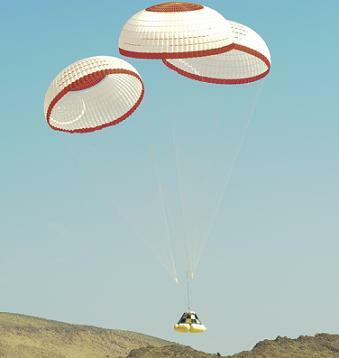 Successful landing system tests have already been carried out by Boeing this year. They are also a confirmed tenant at KSC, with work in the early stages of setting up CST-100′s new home, inside the former Shuttle Orbiter Processing Facility (OPF-3), following a NASA agreement with Space Florida – the State’s aerospace economic development agency – last October. 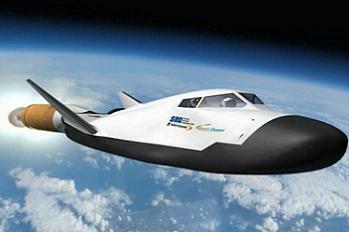 SNC class themselves as the complete system provider and claim to have demonstrated significant progress maturing design and development of the Dream Chaser Space System (DCSS), which saw them become one of the winners of the CCDev-2 contract award, resulting in $80m of funds being provided from NASA. 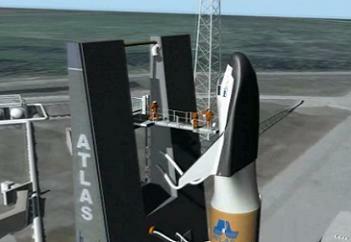 The Dream Chaser would launch atop of an Atlas V – building on studies which range back several years – again from the Atlas’ home pad of SLC-41. Dream Chaser – which is a reusable lifting body vehicle based on the form of NASA Langley’s HL-20 spaceplane concept from the 1980s – can land on a conventional runway, unlike all of its capsule-based competitors. The plan is for Dream Chaser to land at the Shuttle Landing Facility (SLF) at KSC. “SNC, as the owner and prime contractor for the Dream Chaser Space System, on behalf of all of our industry, academic, and NASA Center teaming partners would like to thank NASA for showing the confidence in us and for all its efforts to maintain the vital Commercial Crew Program as part of its plan for the future of space transportation,” noted Mark Sirangelo, Corporate Vice President and head of SNC’s Space Systems. “We are very pleased to have been awarded this amount of funding as part of NASA’s ongoing effort to create a commercial human transportation system to low Earth orbit. This award will allow our Program to continue to make great strides in the development of the Dream Chaser Space System. Dream Chaser has passed several major milestones during its CCDev-2 testing, of which there are 19 milestones – the latter of which is listed as the Free Flight Test, which will be a piloted Flight test from a carrier aircraft to characterize handling qualities and approach and landing. This test is planned for later this year. With the smaller $212.5m award, SNC are not expected to take Dream Chaser as far as the CDR stage of development – although it has already passed the Preliminary Design Review (PDR) earlier this year. Upcoming work revolves around Design and Development, with tasks such as Program Implementation, and Integrated System System Baseline Baseline Review, two Integrated System Safety Analysis reviews, and a Certification Plan. Testing will focus on the Engineering Test Article Flight, using the same Dream Chaser that first took flight this year under a Captive Carry test. SNC will also carry out Wind Tunnel Risk Reduction tasks, Spacecraft Subsystem Risk Reduction tasks, Main Main Propulsion Risk Reduction Propulsion Risk Reduction tasks, and work on their Reaction Control System Risk Reduction effort. Full dedicated articles will follow over the coming weeks on each of the CCiCAP vehicles.